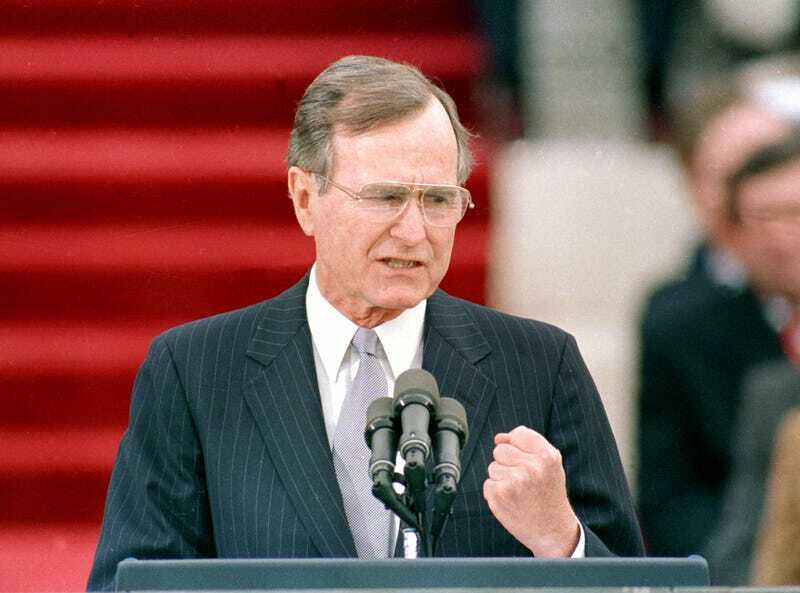 On Friday night, after a lengthy battle with Parkinson’s disease and other ailments, our 41st president, George H.W. Bush, died in his Houston home. He was 94. As tributes poured in over the weekend, he was celebrated for being “great in his character, leading with decency and integrity” according to House Speaker Paul Ryan. But for people of color and other marginalized groups, in the immediate aftermath of our 41st president’s death, that humanity has come into question. As prior to his single term as commander-in-chief—he was denied a second term due in part to his disregard for domestic affairs—he complicated countless lives as a congressman, our vice president under Ronald Reagan, and as director of the CIA. So never short on receipts, social media became a sounding board for those eager to reflect on his questionable legacy. As far as the irony of Bush dying on World AIDS Day? And that Willie Horton ad? While he only served a single term, it’s quite evident that the decisions Bush made and the policies he put in place still reverberate today. As such, the principles and interests he aligned with consistently jeopardized the lives of marginalized communities. So in serving as our Commander-in-Chief, while its expected that many will celebrate his accomplishments, it’s equally as important not to turn a blind eye on his faults.